Pigeons for most people look like cute, friendly birds but pigeons are a pest bird that can be a major factor in defacing, destroying structures, bridges and even our health. Pigeons feces is highly acidic and corrosive to metals, to concrete and other building materials and pigeon droppings harbor numerous diseases that can spread to human. Pigeon control in Tulsa is necessary to help reduce the spread of these diseases. Stadiums, industrial plants, food crops are all affected by these pest pigeons. They can contaminate food and lets just face it, nobody wants to be walking in a stadium and have droppings fall on them. These birds infest industrial facilities and corrode the metal buildings, ladders and more. They ruin products and can cause sickness. This is why pigeon control Tulsa is so needed. EnviroTech Exterminating offers pigeon control services in the Tulsa and Broken Arrow metro areas. We can provide services to fit any need as not all infestations of pigeons are the same. If you own a business, factory or residential property that has a pigeon problem we can help. For Tulsa area pigeon control services we are just a call away. Visit us at Pigeon Control Tulsa for more information. We also service Broken Arrow, Coweta, Jenks, Bixby and the entire Green Country area. For a consultation please call (918) 282-7621 today! We specialize in Pigeon Removal Services. 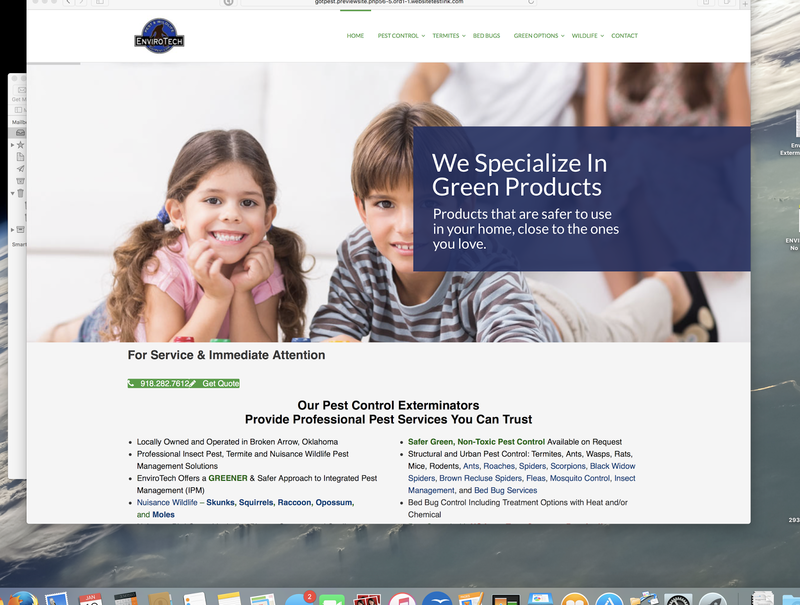 EnviroTech Exterminating offers No Contract Pest Control Services and with the new spring season upon us, we wanted to tell the public about our Customer Retention Program. We offer our customers the opportunity to have continuing services without the worries of being locked down in a contract. We offer to keep our current customer pricing the same without fear of raised prices for an entire year. Anybody can tell you their the best but we put our quality of service on the line each and every time we service a clients home. No strings attached means we do our best each and every time! Regardless of the pest, regardless of the situation our services will never put you on the hook for a long term contract. If you live in the Broken Arrow metro and are in need of pest control services give us a try. I believe you will be very happy with our work ethic and the care/concern we have to treat our customers right every time. Termite Services in Broken Arrow. With spring weather comes many pests like ants, spiders and of course, termites. These pests are already present in most cases but spring weather brings spikes in humidity and temperature which makes termites swarm. With so much sandy loam soil in the Broken Arrow, Jenks, Bixby and Coweta area termites tend to be a bigger problem then areas with other soil types. These loose, sandy loam soils are easy for termites to forage through and establish colonies. It also doesn't help that Oklahoma is a high activity state for termites. If you encounter a termite swarm in or around your home/business, you likely need a termite treatment. We highly suggest having a termite inspection to see if any visible damages can be found. We suggest a treatment regardless of damages as termites will not go away unless properly treated. In many cases you have the options of choosing a chemical treatment better known as a perimeter termite treatment or baiting the property. Either way some type of termite service is necessary to stop the colony and future damages to the structure. EnviroTech Exterminating offers both types of services with top rated products. You get local service from a local company right here in Broken Arrow, Oklahoma. The job will be done properly with one goal in mind, solving the termite problem you are dealing with. For more on an EnviroTech Exterminating termite treatment or termite services please visit our termite services in Broken Arrow website. Spring is here and springtime means ant time. Ants are a serious problem during the spring months. As a matter of fact, ants are the number one call we get this time of year. So, what can be done about your ant problem? You could do an EnviroTech Exterminating Ant Service. We service the Broken Arrow, Bixby and Jenks metro area. Why use EnviroTech? Our service is done using one of the best products available for ants. We do an exterior perimeter service treating all the weep holes, the window sills and entry points. We also use a food bait around the exterior to provide the ants what they are looking for. In extreme cases additional interior baiting may be needed. This all works to infect the ants foraging and then returning to the nest site. These ants then transfer to insecticide to other ants through the social behavior they exhibit. In time, the colony simply implodes. This ant treatment is unlike any ant service you have likely had in the past. It's highly effective and the results are Guaranteed. 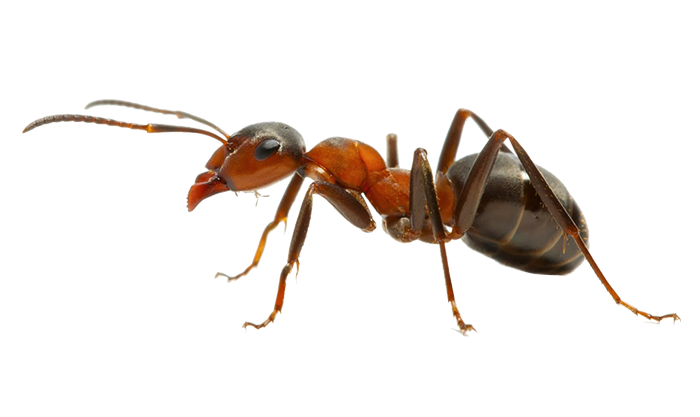 For more on your Ant Control Broken Arrow please visit us online. Our Pest Control website revision is now complete. Other than a few tweaks to the site it's up and running. Most of the focus has been with a site that functions on multiple platforms and devices. The goal was anybody on an iPhone, iPad, Galaxy, Microsoft Surface, Mac, Windows machine have the same experience on the website. I believe we were able to achieve that goal. With the new look and functionality any ideas to improve the site would be welcome. Of course the feedback would help and any glitches, errors noticed would certainly be appreciated. Focusing on serving our customers with the best pest control services in the local Broken Arrow metro means also offering a site that is easy to navigate, feels right and is clear about the intent. To take a look at our pest control site please follow the link Pest Control Services in Broken Arrow for more details. Soon our new service website for pest control services will be going live. Our focus is on the metro Broken Arrow, Jenks, Bixby and Coweta, Oklahoma suburbs of Tulsa. All the fine details are being finished with a goal of it going live towards the end of this week. Attached are some screen shots of whats to come! We are very excited with the new pest control website. This should make navigation of the site easier, provide a newer, modernized look that represents what we do for our customers every single day. With Spring just around the corner and the weather tending to be a little more spring like this winter Ants are already starting to be a problem for people. Ants will invade structures in the relentless search of food and water to feed the colony. An ant colony does not care if the property is a residential or commercial property, if it has what they need that's all they care about. If you have a home or business in the Broken Arrow, Bixby, Jenks, Tulsa or Coweta area, sooner or later you will be dealing with ants. At EnviroTech Exterminating our ant service is second to none. Not only do we use a non repellant product around the exterior perimeter designed to go to the nest with foraging ants but we use professional granular products as a food product that ants take to the nest. In some cases we may also use gel baits inside. No other exterminator company provides such an in depth variety of control means. We do this because we know it works. We also love providing the most effective pest control services available for our clients. We receive calls everyday from folks dealing with one of the worst pests you can have infest a dwelling, bedbugs. In Broken Arrow alone our call volume has more than doubled over the last two years. This call volume extends into the Jenks, Bixby, Coweta and Tulsa area. No home is free from getting these pests. Bed Bugs are parasitic and feed on human and other animal blood. They relay on blood meals to grow and lay eggs. One of the most common things I hear in a bed bug phone calls is that the person has been treating with foggers, dusts and a number of other products for weeks. Sometimes they have already spent $300-$500 on chemicals but still have bed bugs. Why is it that these foggers and other products are not working? Well, for the most part these pests are experts at hiding. It is very rare for an individual without proper training and expertise to clear a home of bed bugs. I'm not saying it's impossible, it's just rare to have success. Bedbugs can quickly build a resistance to chemical products and in many cases using a fogger just makes matters worse. We do not use foggers in any way when dealing with bedbugs. Typically a bedbug infestation can be dealt with in a number of way's but some of the methods used to treat are not very efficient. For instance, freezing can work but you need super cold temperatures below zero for a long duration of time. Our temperatures here in Oklahoma do not tend to get cold enough and who can stay in a home for day's at below zero temperatures! Another method is steam but imagine trying to steam an entire house. The steam temperature must be higher than most store bought steamers can go and this really is only feasible for spot treatments. It's likely not going to solve or eradicate a bedbug infestation, bed bugs can be anywhere and everywhere. Another method is the chemical treatment. Chemicals do work if done properly but it can take numerous treatments these day's due to the high numbers of bedbugs that are now chemical resistant. a light infestation may only need one or two treatments but a bigger bed bug infestation could need numerous services. In many cases a series of chemical treatments can cost more than doing a heat treatment. Heat is likely the most effective and efficient means of treating bedbugs. The nice thing about heat is bedbugs cannot survive the temperatures used doing the treatment process and unlike cold which takes day's, heat only takes hours. Literally you can have the dwelling heat treated and stay the night in the dwelling where with just chemical treatments you may need to stay out of the home as most everything gets wet. Heat also kills bed bug eggs! In most cases we at EnviroTech put down a chemical barrier after our heat process is complete. The reason for doing this is to help minimize the chances of the customer reintroducing these pests into the home. After all, you got them from somewhere and they are just as easy to get again. It is recommended that vehicles be cleaned and vacuumed regularly to reduce chances of a bed bug or bedbug eggs making it's way into the home or dwelling. Bedbug eggs are sticky, tacky and are easily introduced by accident on clothing, shoes, bags, back packs and so on. For more on bedbugs and getting a bed bug heat treatment call EnviroTech Exterminating at (918) 282-7621. Locally owned and operated and serving the Broken Arrow, Bixby, Jenks, Coweta metro area of Tulsa, Oklahoma. EnviroTech Exterminating offers pest control services to the local Broken Arrow, Bixby, Jenks, Coweta metro area's of Tulsa. We service the entire metro and offer pest control services for a wide variety of pests including termites, bed bugs, ants, cockroaches, nuisance wildlife pests like raccoon, opossum, skunk, pigeon, starlings, rodents and more. May was filled with rain but the ants didn't care. Ants are the biggest problem for majority of new customers calling in. These pests are followed second to spiders. Although they are in huge populations this year they are not any worse from what we had last year. Both last sporing and this spring had more rain than any spring I can remember. Tips to help make you're pest control service last longer. 1) Don't water for two - three day's after service. This allows the exterior perimeter treatment to really take hold and start working through the colonies of ants. 3) Don't use other pest products over our barriers we establish. The products you buy over the counter typically will not last as long as the commercial grade products. 4) Make sure windows are caulked and sealed. If they are not seal them. 5) If you have a crawl space install a Vapor Barrier. 6) Keep the yard trimmed. Pests thrive in yards that are not kept up.